Born at Leytonstone, England on 21 June 1885, son of Elphinestone Fleeming Park (1950-1919) and Jessie Campbell Orr (1854-1937), he came to Canada in 1903. He settled at Winnipeg and attended St. John’s College, graduating in Theology. 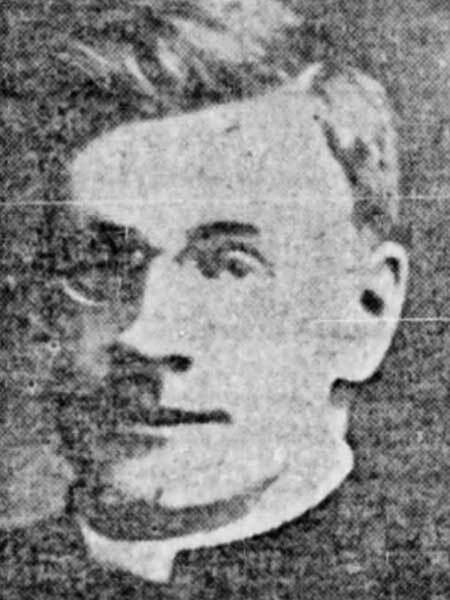 He became a Deacon (1910) and Priest of the Diocese of Rupertsland (1911), serving in Parishes at Miniota, St. Marks Anglican Church, St. Michael’s Anglican Church at Winnipeg, and the Algoma Diocese of Byng Inlet, Ontario before returning Elmwood for the position of Rector at St. Cuthbert’s in Elmwood in December 1923, a role he retained until 1952. He went on to be Canon of St. John’s Cathedral, Rural Dean of Winnipeg, and Archdeacon of Winnipeg (?-1953), after which he retired. Remaining active in retirement, he was also Priest at St. Saviour’s Morse Place (1953-1961). On 3 January 1912, he married Dorothy May Corley (1894-1981) at Rapid City and had eight children: David Campbell Park (1912-1913), John Elphinsone Park (1914-1993), Elisabeth Mary Park (1916-2005), Charles Alban Park (1920-1982), Dorothy Anne Park (1922-2002, wife of David Reuban George Lawson), Robert M. A. Park, Mary Park (wife of J. Latimer), and Jeanne Park (wife of D. Robertson). He died at the Grace Hospital on 21 May 1971 and was buried in St. John’s Cathedral Cemetery. “New Rector for Elmwood,” Winnipeg Tribune, 27 October 1923, page 2. Obituary, Winnipeg Free Press, 25 May 1971, page 14. Obituary [Dorothy Anne Lawson], Winnipeg Free Press, 3 April 2002, page C8.